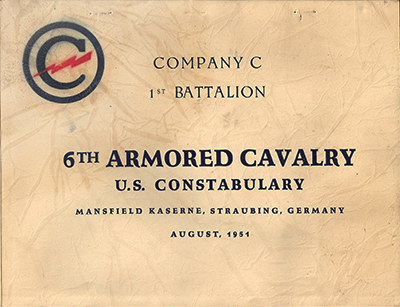 Fitness for potential combat, with emphasis on physical conditioning, was the 1951 keynote in the 6th Armored Cavalry. 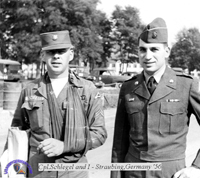 Taking heed of lessons from the Korean conflict, word sounded early at Straubing, Regensburg and Landshut that muscular toughness, stamina, and endurance were essential to success in combat. And while the activities of the Regiment were many and varied, the one fact never forgotten by officers and enlisted men was that they were members of the "Fighting Sixth", and that their mission in Germany might well call upon them to fight at any time. Flanked by his inquisitive cohorts, the Seventh Army Inspector General stormed Headquarters on 2 January, and for the next twenty-four days, the 6th Armored under went the annual look-see, common to all army units. Later in the year, beginning 23 July, Special Troops and the three Battalions took to the "spit and polish" again in preparation for Seventh Army "Command Maintenance Inspection" teams. In addition to the major inspections, 6th Armored group conducted maintance checks throughout the Regiment at intervals during the year. This period snooping was viewed in some quarters as akin to harassment but correction of deficiencies and irregularities kept serious gigs to a minimum. Of course, there was more to training than physical conditioning and inspections. Late in January, in the wake of the Inspector General, "Exercise Winterspiel", a seven-day simulated delaying action over an extended front, got under way. Special Troops and the three Battalions participated. A check of the morning report record of events sections of the three Battalions showed agreement in one respect: the weather during "Winterspiel" was cold. There was, however, a recorded difference in the morale of the troops. Headquarters, 1st Battalion reported "high"; Headquarters, 2d Battalion said "good"; 3d Battalion Headquarters showed "excellent" - all of which raises the question of just how morale is to be gauged accurately anyway? Perhaps fame, fortune, and military immortality await the inventor of a "moralemeter". Limited numbers of Sixth troopers participated in a CPX involving Seventh Army troops and the Second Air Divisions on 2 - 4 February. A CPX called "Hot-foot", (Who dreams up these titles?) sent personel of Regimental Headquarters and the Headquarters of Battalions into the field on 9 - 20 February. A 2d Constabulary Brigade CPX in early June called for Sixth elements to practice another delaying action. On 25 - 30 June the Regiment again joined the 2d Constabulary Brigade in an unamed field exercise. CPX "Blue-sky" (that's a little better than "Hot-foot") was conducted 16 - 19 July. The final CPX of 1951, on 18 - 19 December, involved Headquarters of all units down to and including Companies of the Sixth. Because of diversified operational commitments, field exercises involving the entire Regiment were few and far between, but one phase or another of training was going apace at all seasons of the year. For example, the three tank companies trained individually at the Hohne Range (British Zone) during April and May. All Battalions, individually, spent a two week training period at Grafenwöhr during August and September, and another two week period at the Vilseck Training Area during October, November, and December. The 3d Battalion participated in "Winterspiel" (and) took part in the June field exercises, went to Grafenwöhr in late August, and to the Vilseck Training Area during late October and early November. Available elements of the 1st Battalion engaged in winter firing exercises at Camp de Munsingen from 8 to 22 January and put in training time at Grafenwöhr and Vilseck later in the year, participating, too, in "Winterspiel" and the June field exercises, while A, B, and G Companies took turns on the German-Czech border on actual patrol and outpost duty. With barely time to thaw fingers and toes, the 2d took off for Pfenningland, Austria, on 17 May where they assumed the aggressor role in the USFA "Exercise Rebound". A month later the Battalion took to the field for a four-day exercise. Then after another month interval two weeks at Grafenwöhr followed. High spot of the year for the 2d came in September when troops of seven Atlantic pact nations joined forces in "Operation Counterthrust". Again the 2d played aggressor when they were integrated into British Major General Coad's "Redland" forces. The eyes of the free world were on "Operation Counterthrust". TIME magazine had this to say: "All units were cocky and enthusiastic; black shiners blossomed on both sides. Young officers argued bitterly with umpires. Americans of the 2d Battalion, 6th Armored Cavalry, slipped off nightly to deflate tires of enemy vehicles, disable engines, and snip telephone wires". Tsk! Tsk'. Who figured out these tactics - Master Sergeant Radeski? Conduct of the 2d Battalion in "Counterthrust" brought praise from General of the Army Dwight D. Eisenhower. In a letter to Lieutenant Colonel Ernest O. Watson, 2d Battalion Commander, the General wrote: ". . . from what I saw of your men, I would judge they are in an excellent state of morale and training. Please extend to them my congratulations for their fine work and my best wishes." With "Counterthrust" behind them, the 2d still had two more weeks of training to undergo at the Vilseck Training Area. But December morning report entries showed morale of the Battalion to be "excellent". At mid-year Colonel A. Rehm, "old man" of the Sixth for nineteen months, became Assistant Chief of Staff for Administration, Seventh Army and moved to Stuttgart, Colonel Rothwell H. Brown assumed command. Colonel Rehm, at a regimental Review on 11. June, said that his command of the "Fighting Sixth" was the most enjoyable of his long military career, and he thanked the officers and men for their hard-work under his leadership. Colonel Brown, in assuming command, told the troopers of the assembled Regiment that he had "a big pair of shoes to fit and I have small feet. I know, however, that if the time comes to fight, we'll be ready and waiting." It soon became apparent that regardless of the size of Colonel Brown's feet, he was a fighter in the true tradition of the Sixth, a stickler for physical conditioning training, and maintance, a commander who meant to hone his amor to steely sharpness, alert to bare its cutting edge in the face of any foolhardy aggressor. Soon after Colonel Brown's assumption of command, there was a change in the primary mission of the American Army in Europe. The Sixth stood firmly with all other elements of the Armed Forces as a bulwark against the aggressive spread of communism into the free world. The term "occupation troops" went out of fashion. Anticipating early treaty arrangements with the Bonn Government, the building of friendly German-American relations was stressed. Each trooper was encouraged to become an individual American ambassador of good will. Social, welfare, and religious groups worked toward mutual German-American understanding and sympathy. All personnel, loyally supported by the ladies of the Regiment, took an increased interest in these activities. The Christmas season saw Sixth Troopers and their wives at Regensburg, Landshut, and Straubing playing host to hundreds of German children, with special emphasis placed on bringing happiness to the orphaned and needy. Social functions brought Sixth officers and German officials together in comradeship. Americans and Germans were becoming good neighbours. The postwar "occupation" was ended. 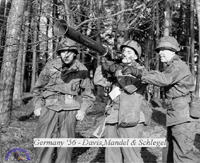 But while Sixth troopers took their new missions in stride and saw most Germans through friendly eyes, they remained troops primarily, both in training and spirit. 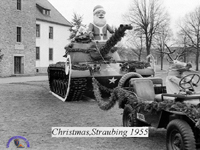 The City of Straubing declared 22 December "6th Armored Cavalry Day". 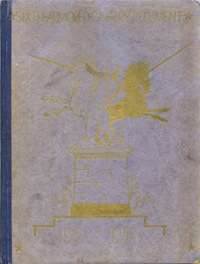 A mounted review saw the Sixth's Commander and the Oberbürgermeister of Straubing side by side on the reviewing stand as the wheeled might of the 1st Battalion, Regimental Headquarters, Service Company, and I Company roared smartly past. Though "Sixth Armored Joe" may have fancied himself as an off-duty "man of distinction" in his favorite gasthaus and a "curly wolf" among the fräuleins, he was first a soldier of the United States Army, a guardian of democracy, mentally, morally, and physically ready and able to fight should the necessity arise. At year's end even the most ardent booster of the Regiment would have to admit that the Sixth was not perfect. But officers and enlisted men alike worked hard toward perfection. The "Fighting Sixth" was ready at a moment's notice to live up to its 91-year tradition. Source: 6th Regimental Combat Team, Germany, 1953. Yearbook. 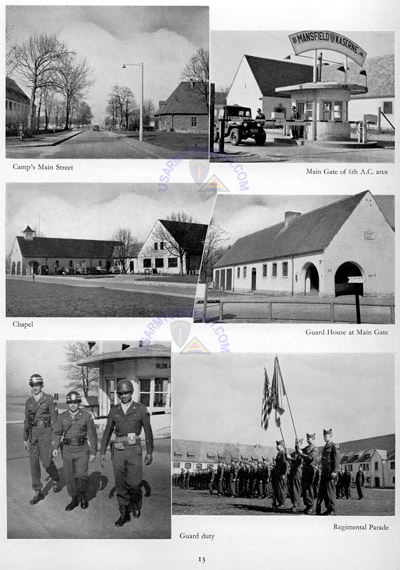 I served in the 6th A/C at Mansfield Kaserne from May of 1954 until August of 1956. I was in the regimental radio section. 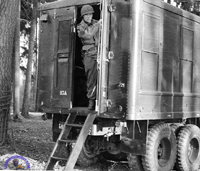 We kept communications open between the border and our higher headquarters (VII Corps in Stuttgart). I thoroughly enjoyed the 21/2 years I spent there. I have always felt that we were doing a necessary job and that we did it well. The regimental CO when I got there was Col Donald Christiansen and my last regimental CO was Col. John K. Boles. The CO of Hq & Hq Co was Capt Jack Jernigan and our 1st Sergeant was 1sg Bo McMillan. 1sg McMillan was the epitome of the old time regular army noncom. I respected him greatly. I would like to hear from others who were there during my tour of duty, especially those who were in the Communications Platoon. On a whim, I typed in the phrase "6th+Armored+Cavalry+Regiment" and found your site. Seeing the Unicorn certainly brought back memories for me, and it was very thoughtful of you to go to the trouble to set up your Web page. 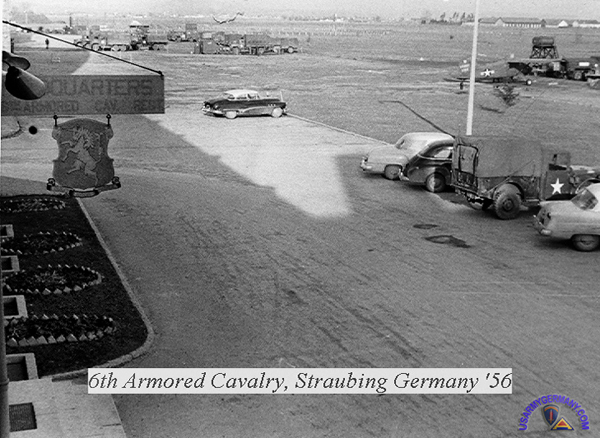 I served in the 6th A/C in 1955 and 1956, based in Straubing. I was in the HQ Co. doing mostly Main Gate security duty, although I was used as an Interpreter because I had studied some German in school. At the main gate there were always two GIs and one German who was employed by the Labor Service. All the Germans were older than we and all were WW II veterans. All except one claimed to have served on the Eastern front - the lone exception said he was on a U-Boat. Of course, it occurred to me many times that if any had fought against Americans, they would not have been likely to tell me! 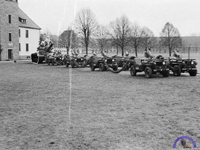 One other 6th A/C Battalion was in Regensburg and one in Landshut. Our regimental commander had been a West Pointer, Col. John K. Boles. I heard later that he made it to Lt. Gen. The Exec. 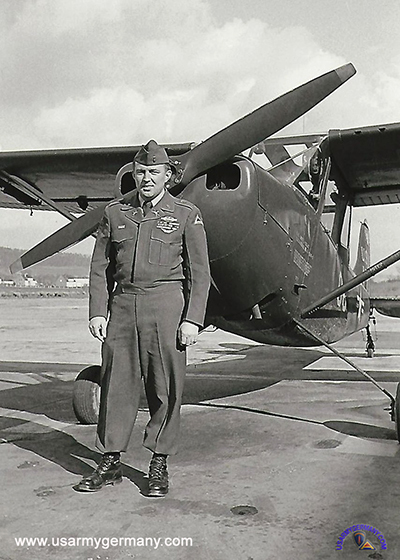 was a Lt. Col., name O'Keefe, who was noteworthy because he couldn't read a map! To a man, none of these Germans nor any others I met said they knew anything at all about atrocities, even though Dachau was fairly close to Munich. This probably tallies with your experiences; it's difficult to believe that nearly an entire nation was "clueless" concerning concentration camps. To a certain extent, the old story concerning what German civilians were told is true, about Jews having been sent to Madagascar to live. I've even heard that from German-Americans here. I've been back to Europe twice since 1956, but not back to Germany. I'm sure I'd hardly recognize the changes, since almost 50 years have passed. Have you tried to obtain names and e-mail addresses of others who served in the 6th A/C? If there is such a listing, I'd like to obtain one. Again, many thanks for setting up your Website. I was originally with the 11th Airborne in Ft. Campbell, KY. I was sent to Fort Skelly with the 3rd. 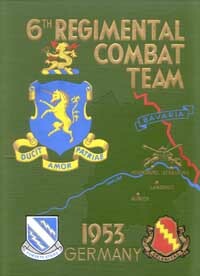 Battalion early 1955. After a brief stay there, I was transferred to Hq. 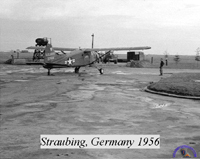 Co. at Mansfield Kaserne (Straubing), assigned to S-3, Planning and Operations. We were quartered with S-2, Intelligence. Most personnel there were graduate attorneys and dealt with intelligence which was sent to S-3. Our work was mostly secret which required a 'secret' clearance. It consisted of maintaining a "war map" in the war room...where we would post all information regarding Czech and Russian ordnance, basically the location of ammo and petroleum supplies, military equipment of Russian and Czech units...(tanks, artillery, etc. ), and daily movements of those units. Whenever we went on maneuvers we would provide the battalion commanders with road maps and necessary information for the battalions. Colonel Boles was regimental commander and he had 3 or 4 captains assisting him. My immediate superiors were a Captain Walker and M/Sgt.Weinbarger. There were 3 of us privates attending to map preparation, charts and whatever else the Colonel needed. During my tenure, I was privileged to meet General George Decker, Commanding General of VII Corps at that time, and Brigadier General Joseph Stilwell (son of Gen. "Vinegar" Joe Stilwell)...he had come from the States to plan for the rotation of the 11th A/C to replace the 6th. My tour ended just prior to the Hungarian revolution. 2nd Bn, 6th Armd Cav Regt will represent EUCOM in a joint British Army (British Army of the Rhine) and Air Force British Air Forces of Occupation) maneuver (designated "Counterthrust") from Sept 14-24. 2nd Bn CO is Lt Col Ernest C. Watson. My Dad remembers the former Messerschmitt factory at the airfield (at Regensburg). He was commanding officer of the air section located at Regensburg (3rd Battalion, 6th ARC, Fort Skelly). He was promoted to CPT later that year. 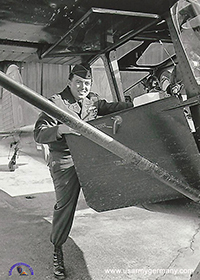 Lt Michael Peck, Jr. took Ernst Berger, photographer for the local newspaper, for a flight over Regensburg to observe the flood waters in early March 1956. I report the death of my father on May 23, 2018. He was 94 years old. What a guy, what a life! 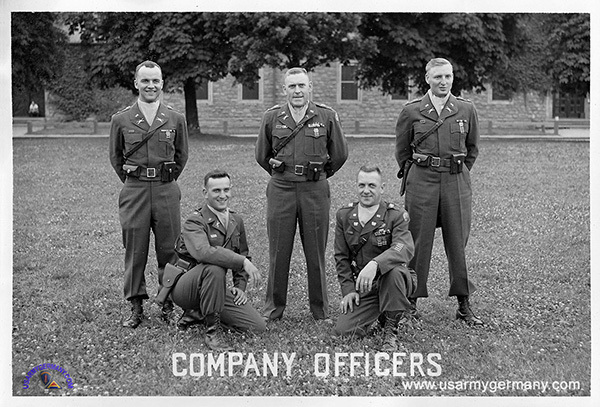 As mentioned in the earlier emails, at the time (62 years ago) when the photos were taken, 6 March 1956, my father may have been assigned to Hq Co 3rd Bn 6th Armored Cav Regt. The two photos I am sending were taken by the newspaper reporter/photographer Ernst Berger, Regensburger Stadt-Umschau. There was a flood in Regensburg and my father flew the newspaperman over he city. 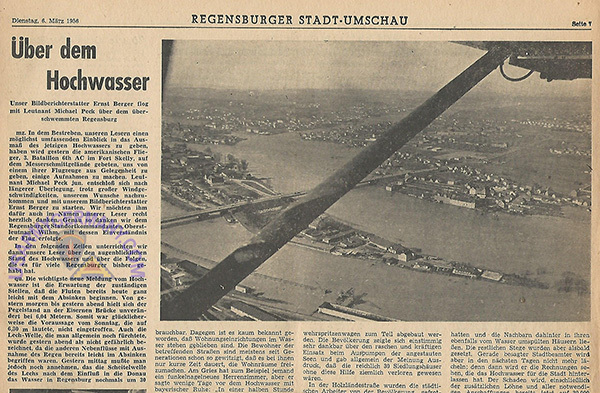 Again our sincere thanks for your kind assistance on the occasion of the flight over the city of Regensburg"
Certainly one of the high points of my father's military career! The Air Section, 6th Armd Cav Regt (a.k.a. 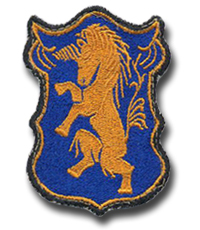 "Unicorn Air Force") is stationed at the airfield at Mansfield Kaserne in Straubing (more precisely at Mitterharthausen, south of Straubing). 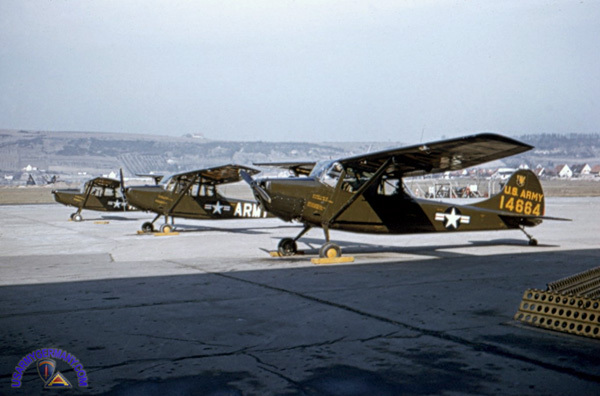 It comprises eight L-19 Bird Dogs and one (H-13) helicopter. On average, six of the eight L-19's are in the air during a normal duty day. The Air Sec logged more than 3,900 hours in the air last year. Among the numerous tasks that the Air Sec performs is the air patrol of a ten-mile stretch of the ADIZ (Air Defense Identification Zone) along the Czech-German border. This stretch is restricted to 6th ACR aircraft only. The section's primary mission is reconnaissance and artillery observation, as well as transportation of personnel and supplies. I was with the 6th ACR when it went back to the States and was replaced by the 11th ACR. 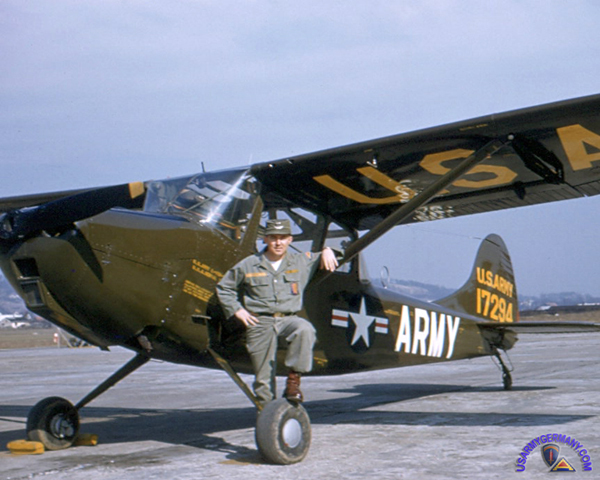 CPT Nick Yeonopolus was the Aviation Section chief for the 11th ACR. 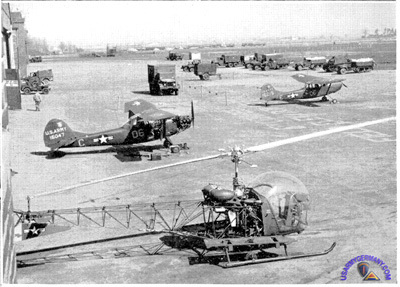 I was the only helicopter pilot for the 1 H-13 in the 6th and stayed at Straubing and was transferred to the 11th ACR. This was in 1957. I was transferred to Vilseck after first showing the routes and location of the OPs along the border and checking out the other copter pilots of the 11th ACR. COL Hules was the CO of the 11th and I flew him and COL Boles (the 6th ACR CO) in the H-13 to all the OPs along the border. They were both big guys and I probably exceeded the weight limit of the H-13 by a couple of hundred pounds. I was a LT at the time and was with the 6th from Jan 56 and later with the 11th. When I was there the OPs didn't have a particular name themselves -- at least if they did I wasn't aware of it. We had some kind of a unit located on the hill over looking Passau. I was weathered in over night there around Christmas 1956. There was an OP north of there about 15 or 20 miles, but for some reason I didn't fly into it that much. I can't remember what the unit did that was at Passau, maybe a communication section or possibly it was a border camp. 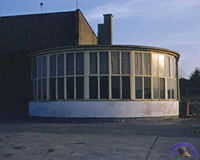 When the 6th AC gyroed with the 11th there were 2 L-19s per Squadron and 2 at Regt HQ making a total of 8 for the Regt. We had only 1 H-13 and I was the only qualified helicopter pilot. I believe we got an L-20 right before I was transfered to Vilseck. 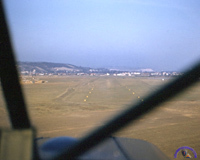 When we had VIPs visit the border we would have 2 H-34s come up from Illesheim north of Munich to haul them around, but I had to fly as copilot on the border flights. When the helicopter was grounded or not in use I would double as a fixed wing pilot and fly the border.